As a member of the Sustainability Business Network, Chancellor regularly carries out activities to contribute towards New Zealand’s reputation of being a model sustainable nation. The team event was held on International Earth Day 2017 in an effort to promote environmental awareness and protection. The whole Chancellor team spent the day using gathered waste materials from different sites and working in four groups to build the on site office. 100 meters of 4 by 2 timber wood, 10 pieces of plywood floor material, 15 square meters of building wrap, 10 square meters of shingle roof materials, and waterproofing materials were gathered from different sites of Chancellor projects and rounded up as the new born pragmatic site office. The six-square meter site office built purely from construction waste was a great example of building material recycling. By being a successful sustainability role model among the local building society Chancellor is leading the way in minimizing construction waste and going fully circular. The Chancellor team spent an afternoon on 26th January 2017 in Ronald McDonald House, preparing a large dinner for children undergoing medical treatment in hospital and their families. As a valued group volunteer, Chancellor was eager to help the charity and Auckland community. Ronald McDonald House runs these cook nights twice a week in an effort to make a difference to the lives of children and families going through difficult and exhausting medical treatments. 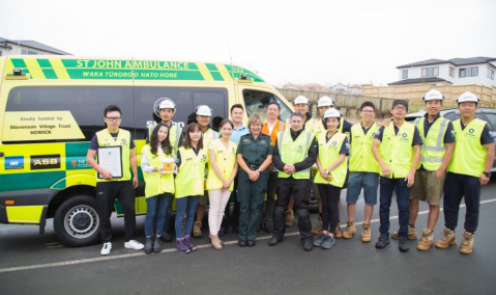 Chancellor Construction took to the streets in Flat Bush to raise funds for St John Ambulance on 3rd February 2018. 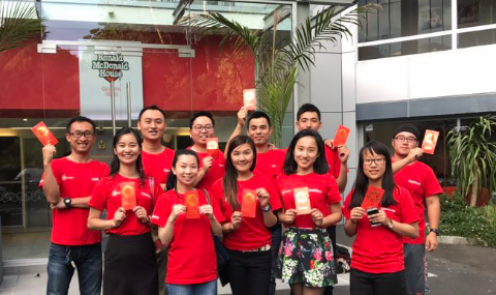 The fundraising event attracted more than 1500 people from the community and a lot of other local enterprises involved, as well as the NZ Chinese Building Industry Association. 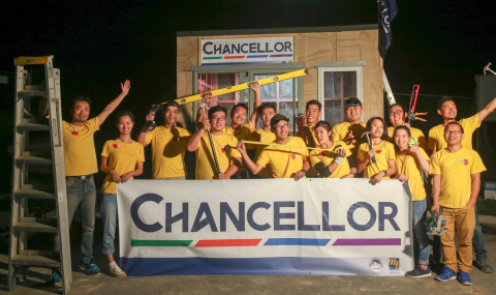 All Chancellor staff members gathered on Tims Crescent on the weekend, set up the marquee, and split into four teams to go through every construction site in the neighborhood. We were doing healthy and safety inductions for workers in return for donations. As a pioneer supporter in community, Chancellor has become the first Chinese enterprise ever to lead a fundraiser for St John. 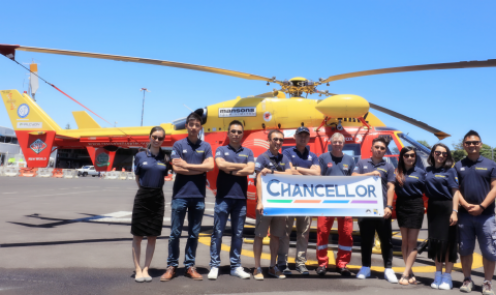 Being a corporate supporter of the Auckland Rescue Helicopter Trust, Chancellor’s donation every year directly contributes towards the communities of the greater Auckland region and helps ensure the emergency rescue service is available to people who need the help.